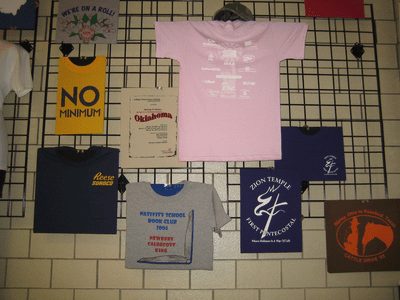 Have a T-Shirt Custom Imprint Idea? Only Want One? No problem!! No Minimum!!! Design a Custom Shirt. We have over 90 t-shirt colors to choose from. Photo printing is available on white apparel.